Well, the Holidays are over. The caroling is over. The end-of-year merrymaking is over. And so - perhaps mercifully to some - the Holiday gorging and sweet treats and restaurants and huge dinners at relatives' and friends' homes is over, as well. But for many of us, the extra pounds remain! So now it's time - as it is every January - to do something about it, and to get back to our normal, pre-Holiday weights. If you love skiing, you know that flying - or even going slowly - down a mountain in a winter-wonderland setting is a great way to take off those Holiday pounds. 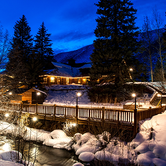 And, since we're only about halfway through ski season, what better place to do it than at a great ski resort? Here are my Top 5 favorites for the second half of ski-season 2019! 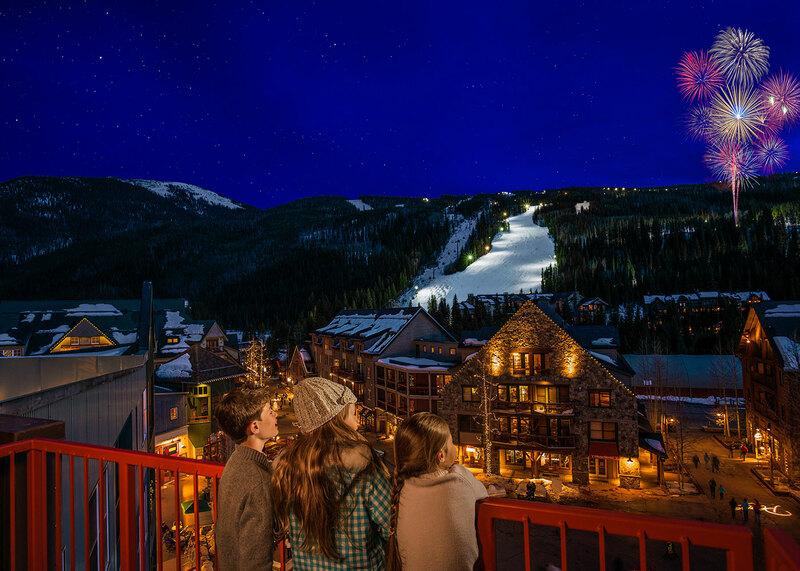 #5 - KEYSTONE RESORT, KEYSTONE, COLORADO - At an altitude of 9,280 feet. Keystone is surrounded, of course, by the magnificence of the Rocky Mountains. And the views from anywhere on the resort are breathtaking. 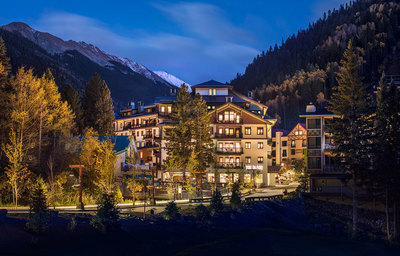 This resort centers around a bunch of unique alpine villages, each of which resembles a beautiful Old-Europe village. 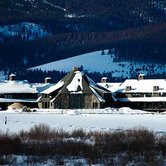 Although Keystone has an excellent reputation, it's continually upgrading the accommodations and the restaurants and the ski facilities. There's more than 3,000 acres for you to ski on here, each acre with seemingly more spectacular views than the last. 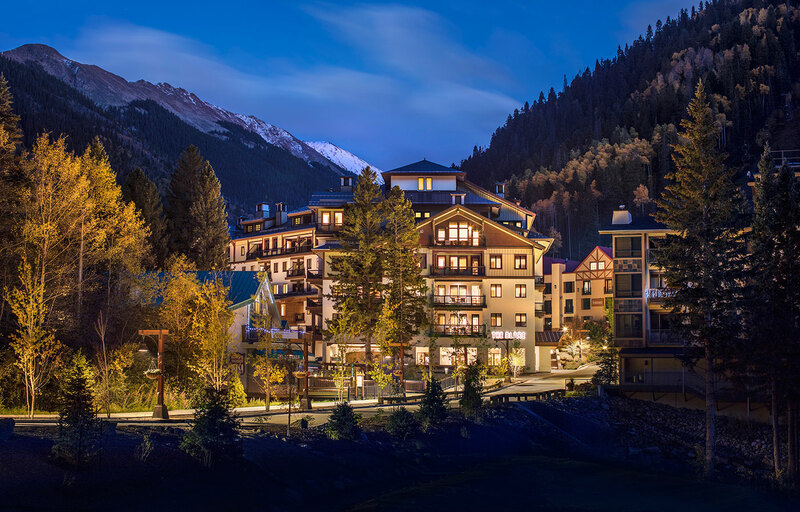 And at nighttime - although you might be tempted by the cool restaurants and bars - you may be just as tempted by the slopes, many of which are structured and lighted for night skiing. There are three mountains here, offering great schussing for all skill levels...and instruction so good that you will probably increase your skill level here. There are daily "Kidtopia" programs, with fun extras like the world's largest snow fort and food and music festivals. The resort also offers afternoon and dinner sleigh rides. There's a full-service spa where you can work out the after-skiing kinks. And there are six excellent full-service restaurants. In addition, each village has numerous smaller eateries and fast-food and coffee outlets, as well as cool places to have an apres-ski cocktail or beer. 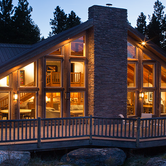 Accommodations here are rustic-luxury. But be prepared - the kids will implore you to take them on rides in the little red wagons all over the grounds! lake called Williams Lake. The Ski Valley's European-village charm is authentic, and its experience is world-class, for skiers of all abilities. And Taos is one of the most fascinating little towns in America, with its adobe architecture, 400-year-old Plaza, the 1,000-year old adobe "city" of the Tiwa people at the Acoma Pueblo, distinctive New Mexico art and handicrafts, and 10,000' Taos Mountain overlooking it all from the tribal grounds. #3 - CHENA HOT SPRINGS RESORT, FAIRBANKS, ALASKA - Chena is not a downhill-skiing resort...but it's one of the most remarkable cross-country skiing resorts in America. It's 60 miles east of Fairbanks, in a region so sparsely settled that it still has a Fairbanks address. So you have to really love the sport to get here. 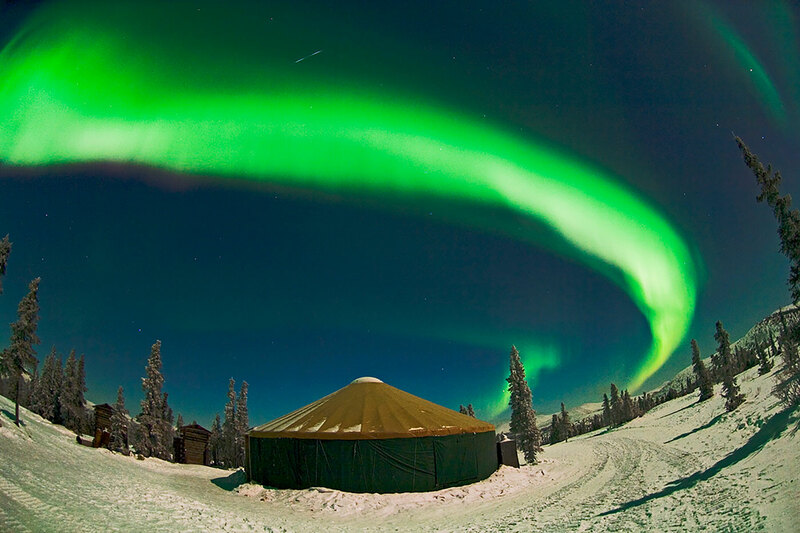 But there's a lot more to love about Chena than just some of the best cross-country skiing in North America. You have to love stunning scenery...because this place has some of the most awe-inspiring scenery on earth. You have to love traversing this scenery in a comfortable, elevated, heated transport vehicle that allows you to get closer to polar bears and wolves and moose and other exotic wildlife than you've ever been before...often, as close as just a few feet. You'd also have to love the very-cool irony of soaking away all your post-skiing kinks in hot springs - that's right, hot springs in Alaska - sitting in the midst of ice and snow. You'd have to love watching magnificent Arctic sunrises and sunsets...only a few hours apart. You'd have to enjoy an on-site museum made of ice, and a drink at a bar made of same. And if you're here at certain times in autumn, winter, or spring, you'd get to experience the most stunning light-show (and late-show!) on Earth...the Aurora Borealis, or Northern Lights. If you're staying at Chena's Moose Lodge, there's even a special "aurora wake-up call" you can arrange for the wee hours, when the light show is at its best. 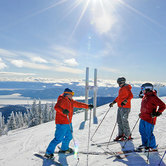 #2 - SCHWEITZER MOUNTAIN RESORT, SANDPOINT, IDAHO - Schweitzer sits in the Selkirk Mountain range in the northern Idaho Panhandle, only about 40 miles from the Canadian border. And it's hard to imagine a more-beautiful setting. From the top of the mountain, you can see the glittering, enormous alpine lake dubbed Pend Orielle (pond-awray) by early French explorers, who were fascinated by the ear ornaments sported by local tribes. Accommodations at Schweitzer are airy and rustic, with huge windows. There are a dozen interesting restaurants, an outfitter for winter-sports gear, a food market, and an art gallery. There are slopes for all types of skiers, from groomers for novices to wide-open bowls for advanced. And there are nearly 3,000 acres and an average annual snowfall of 300 inches on which they can ski. Also, there's ski-in, ski-out convenience in the village, and as a result, more time on the slopes. 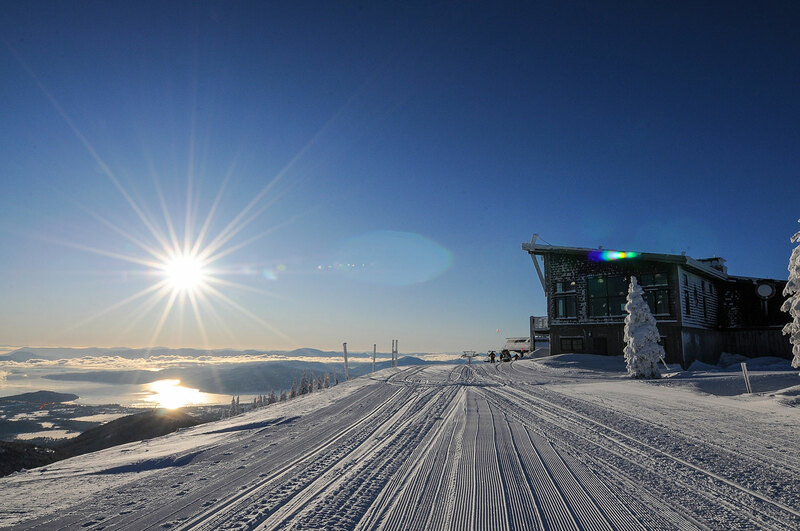 At the 6,400' summit of Schweitzer Mountain, you'll find the Sky House lodge, with two restaurants, one for fine dining and the other for casual. 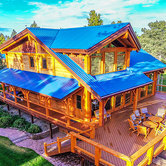 Along with the food, you'll find extraordinary 360-degree views of northern Idaho and silvery Lake Pend Orielle. In fact, you can see into two countries, the U.S. and Canada, and three states - Idaho, Montana, and Washington. And down at the bottom of the mountain, you'll find the charming Old-Idaho town of Sandpoint, voted the most beautiful town in America by Rand-McNally readers a few years ago. #1 - WINTER PARK RESORT, WINTER PARK, COLORADO - Winter Park is a special place. You can actually see evidence of that even before you get there...because to get there, you have to drive on one of the most spectacular mountain roads in America, right through rugged, towering mountains on all sides of you, and rocky canyons below. 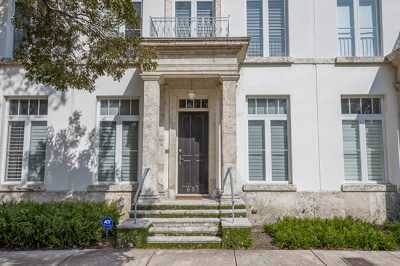 It's also a special place because just a few miles down the road from the resort is the Old-Colorado town of Winter Park, with interesting shops and eateries. The resort itself is just as special, filled with children's play areas and a ton of excellent (and diverse) eating experiences and varied shops and great views everywhere you look. 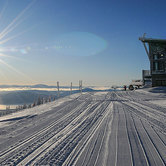 There are seven distinct ski areas here, designed for all skill levels, and an annual snowfall of 315". This year the resort opened up a new ten-person gondola, so you'll spend less time getting to and from the skiing and more time doing it. At Winter Park, you can traverse the local winter wonderland the old-fashioned way, in snowshoes. Or you try a new way of doing it, on something called a ski bike. Or, you can try "dashing through the snow" on a snowmobile. And if you're up for outdoor adventure on your feet, there are miles of great winter trails here. After your day of adventure, you can take the new gondola up to the Sunspot Mountaintop Lodge, where you can enjoy a gourmet dinner at 10,700 feet. Or, you can dash through the snow on a nighttime sleigh ride, for a gourmet dinner in a very interesting venue - the Western dining hall at the stables. So, you see...this really is a special place. 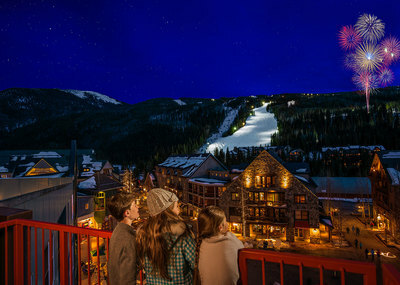 And apparently the readers of USA Today think it's special, too - because, just a few weeks ago, they voted Winter Park the best ski resort in North America! What's your best ski resort? If you'd like to tell us, we'd like to know!